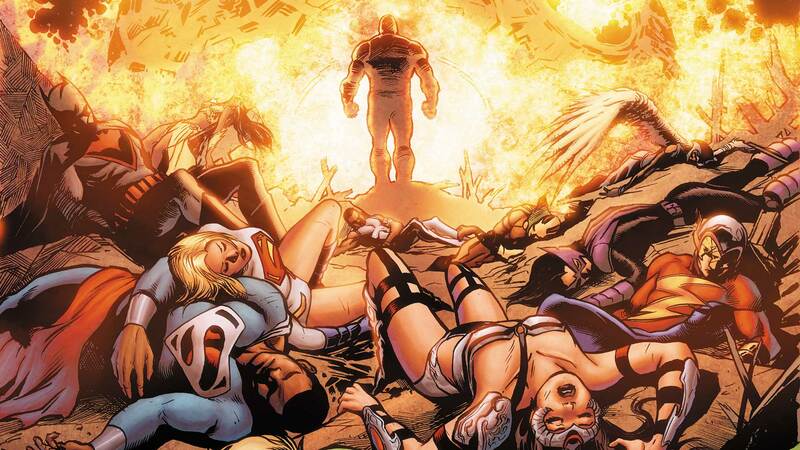 The heroes of Earth-2 are faced with the end of their world as the forces of Apokolips invade! Millions are displaced in a crumbling world as the Flash, Hawkgirl, Green Lantern and the World Army struggles to stem the tide of destruction. But will their combined might be enough? Collects EARTH 2 #27-32.